This was a Goodreads recommendation. It had been a while since I went on to the recommendations section. This book looked interesting and I was delighted to find it in the library that very day. The book opens with Trudy rushing back home after her father died. Her mother and Trudy were cold shouldered by their neighbours. Trudy shows that she knew that she and her mother were only tolerated because of her father. It made you wonder why and as the story unfolds, it becomes clear why. Trudy and her mother were rescued from Germany by an American soldier at the end of the war. Trudy’s mother never says anything about their life in Germany during the war. Her silence has always weighed heavily on Trudy. She just remembers bits and pieces from her life before they came to America. The only link she has to the life before they came to America is an old photograph, but her mother refuses to say a word about it. Trudy has no idea what happened or why her mother refuses to talk about the past. The past that she has no idea about hangs heavily about her. Unable to piece together the pieces of history that she does remember has been a life long nightmare for Trudy. A past she knows nothing about, coming from a country which was responsible for one of the most horrendous crimes in History and knowing that juist being German condemned her in the minds of a lot of people around her, was a baggage she carried around. Her mother’s silence just compounded the collective guilt of her people that Trudy carried with her. Now, years later,as a professor of German Studies, she gets an opportunity to understand the role of women in the Nazi times. 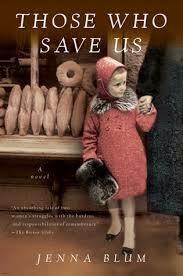 She sets up a project to interview women of her mother’s generation and understand the role of women in Nazi Germany. The book goes back and forth into Anna’s(Trudy’s mother) life as well as the Trudy’s life in the present. As the story unfolds, we get to see the war and it’s effects on another set of people. The German women left behind in the villages and towns, who had to survive a war that was brutal in other ways for them. The other side of the fence had its own story. The things people did, in times that demanded it from them. I couldn’t put it better. I book that opened my eyes to another facet of the war. A war that had such huge consequences, and survivors that might actually still be carrying the scars. Some physical, some psychological, some because of their actions, some because of what others did.. A book worth reading. A 4.5/5 from me. Jenna Blum is an American writer notable for her novels Those Who Save Us and The Stormchasers. She is regarded as an authority on the subject of fiction writing and in 2013 was selected by the Modern Scholar series to teach an audio lecture course entitled The Author at Work: The Art of Writing Fiction.In addition, Blum leads novelists as part of the Grub Street writing center, a Boston-based workshop for writers.She was named as a favorite woman writer by Oprah magazine. I came across this book in one of the www Wednesday posts. It sounded very interesting, and stayed on my to-read list, until I chanced upon it in the library. Don Tillman is a genetics professor. A man who has never gone past the first date. Methodical and systematic, he has come to the conclusion that he needs a wife and has also decided the best way to go about it. Don, being Don, has obviously, selected the most scientific way possible of selecting a partner for himself. ‘The Wife Project’. He has his criteria listed, his questionnaire ready, all he now needs is for people to apply and for him to select the most appropriate candidate. Beats going on dates and making social mistakes hands down. Or so he thought. Until he meets Rosie. She hasn’t applied to be part of the ‘The Wife Project’, is completely unsuitable and yet seems to throw Don’s ordered life into disarray. Rosie isn’t the least interested in the ‘The Wife Project’, she has a project of her own, ‘The Father Project’. It’s a charming book. Don shows all the characteristics of Asperger’s but is blissfully unaware. He just considers himself just a super organised person with bad social skills. His matter of fact acceptance of himself is so endearing. And also an insight into how it must be for people with different social skills. It is an insight into how some of the social behaviours that we take for granted might take huge amounts of efforts for people who are a little different from us. Towards the end Don also makes the point about how all of us are rigid in ways that we don’t even realise. I absolutely loved that bit. The book is full of interesting characters, Don himself, his friends, Rosie is, of course, another beautifully crafted character. Graeme C. Simsion is a New Zealand born Australian author, screen-writer, playwright and data modeller. 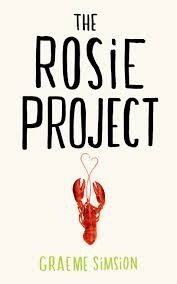 He recently won the 2012 Victorian Premier’s Unpublished Manuscript Award for his book, The Rosie Project. Prior to writing fiction he was an information systems consultant and wrote two books and several papers about data-modelling. A book I downloaded on the Kindle just like that. I don’t think I even checked the reviews. Ages ago. As usual it sat on my Kindle for months. Until I ran out of books to read. It is set in Pepys Road, residential street in London. A row of terraced homes with a variety of residents, ranging from high flying city professionals, pensioners to young aspiring footballers. Each of the residents and those who work in or around the street are chronicled. Their lives, loves and motivation, each as different as possible from the next. Roger is a high flying city professional who works in a financial institution. He leads the kind of life that is the envy of others. Big houses, fancy holidays, and his wife Arabella who spends money without a thought. They live life like there’s no tomorrow. Buying stuff, renovating their house, employing nannies.. the works. Roger regularly gets a bonus that is larger than his already massive salary. Mrs Howe lives on Pepys Road, in the house that she shared with her husband for years. The house has been in her family for years. Getting on with her years, she misses her daughter and has started feeling a little rundown. The tale takes us through the ins and out of lives in and around Pepys Road. The au pairs who work in the luxurious houses, the builders and workers who make the houses as luxurious as they come to be, traffic wardens who are hated by everybody, the Pakistani family, which ran the corner shop… Some who have lived there all their lives, others who are immigrants, out to make a better life for themselves. Different people. Different lives, but they had one thing in common. Each of them, living on that street had a postcard popping in through their letter boxes, ‘You have what we want’. 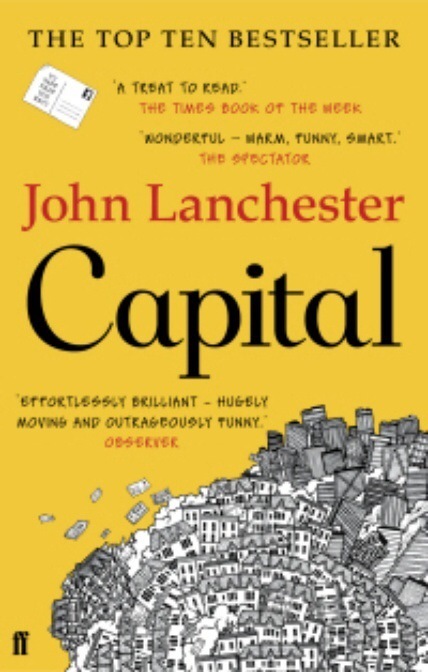 John Lanchester is the author four novels and three books of non-fiction. He was born in Germany and moved to Hong Kong. He studied in UK. He is a regular contributor to The New Yorker and was awarded the 2008 E.M. Forster Award. He lives in London.